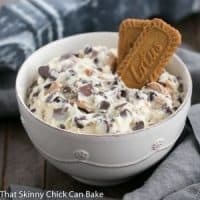 This dessert dip is one of the easiest, most delicious treats you could imagine! Adapted from Add a Pinch. Serve with sliced apples, Biscoff cookies or favorite cookies.